Born in Berlin in 1915, Albert O. Hirschman fled Germany in early 1933 with the rise of Hitler and the tragic death of his father. Still, a love of Goethe and a commitment to cosmopolitan values accompanied Hirschman throughout his life. That life can be seen as a parable of the horrors and hopes of the twentieth century. What motivated him was a pursuit to understand the world combined with an eagerness to change it. Whether struggling against fascism in Europe—an experience that lay behind his first book, National Power and the Structure of Foreign Trade (1945)—or rolling up his sleeves in Latin America to advise farmers, which influenced the originality of The Strategy of Economic Development (1958), Hirschman sought to balance impassioned observation with critical involvement. His life would lead him to study in Berlin, Paris, London, and Trieste, where he finished his PhD. Along the way, he fought in the Spanish Civil War, volunteered in the French Army, and worked in Marseilles to help refugees escape the Nazis. A Rockefeller fellowship brought him to Berkeley in 1940, where he met wife and lifelong partner Sarah. After serving in the US Army, Hirschman moved his family to Washington, DC, where he worked at the Federal Reserve Board, beginning a long career as an economist. 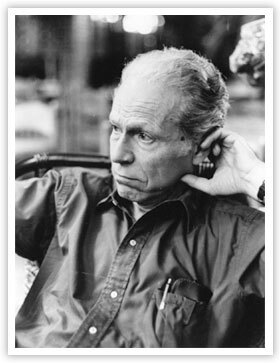 Hirschman trespassed creatively across academic disciplines, perhaps because his university years were brief. He did not get his first university appointment until 1958 at Columbia, and later he moved to Harvard. In 1974, he was appointed professor of social science at the Institute for Advanced Studies in Princeton. Yet, ever the economist, he would proceed to write some of the most provocative books in the social sciences, on recurring themes of economic development, political democracy, and the surprising relationships between the two. Jeremy Adelman is a Princeton historian. His latest book is Worldly Philosopher: The Odyssey of Albert O. Hirschman (Princeton University Press).